There’s nothing like sweeping off the day’s grime, dirt and grease at the end of the night to reveal freshly washed skin with a clean new layer of serums and moisturizers to repair and rejuvenate overnight. The first step is often removing your makeup, particularly around your eyes where most of the most stubborn substances exist: eyeliner, eyeshadow and mascara. Most of us focus on simply taking it all off, but as long as you’re doing that, why not infuse age-defying nourishment into this delicate area while you’re at it? Our I BEAUTY flawless rejuvenating eye pads do just that. Pre-moistened for convenience (especially for travel), these ultra-soft pads gently lift away makeup and impurities without tugging the thin, fragile skin around your eyes nor causing a stinging or burning sensation. Coconut water is chock full of essential amino acids, antioxidants, and phytonutrients as well as a natural source of cytokinins, which boast remarkable anti-aging benefits. Aloe leaf juice contains over 200 actives, including vitamins, minerals, amino acids and polysaccharides, to hydrate, calm and heal skin. Comfrey, rosemary, chamomile and guarana extracts offer potent antioxidant properties to combat free radical damage that causes crow’s feet, fine lines and sagging. Acquacell, a combination of watermelon, apple, lentil fruit extracts and natural moisturizing factors sodium PCA and hyaluronic acid, helps visibly minimize the appearance of fine lines and moisturize. Use the eye pads after cleansing to remove any remaining traces of makeup. Don’t rinse after using the eye pads—you want the anti-aging ingredients from the formula to stay on your eyes. Layer on an eye cream suited to your specific skin type and concerns to lock in the benefits of the eye pads and add further protection and nourishment. Use the eye pads for stubborn lipstick, foundation or eyebrow makeup too! 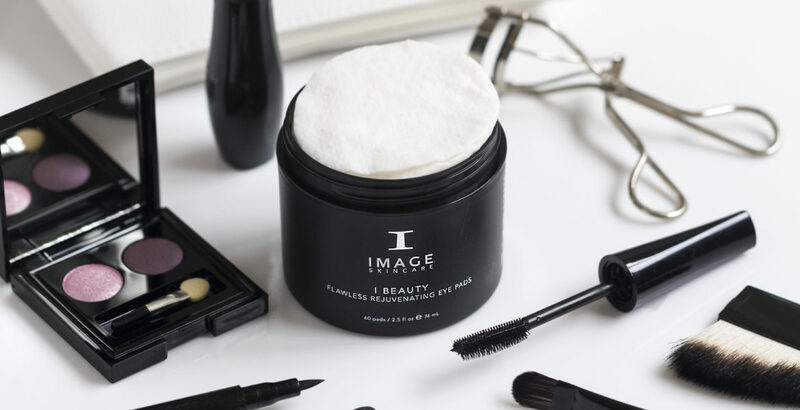 Take the eye pads in your personal or carry-on bag so you can remove makeup, cleanse skin and infuse it with rejuvenating comfort en route to your destination.